ASHLAND, ORE (October 4, 2017) – Loon Outdoors, maker of fine fishing and fly tying tools, once again brings anglers new products to perfect time at the bench and on the water with new scissors, ergonomic tying tools, and UV curing lights. 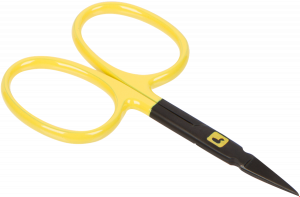 The new Ergo Micro Tip Arrow Point Scissors and the Ergo Micro Tip All Purpose Scissors come with enlarged ergonomic handles for a comfortable grip in any hand. They are hand-tuned in the USA to give precision priority, and the surgical quality stainless steel will last while keeping the cutting blades extra sharp. Choose the Arrow Point Scissors for perfect precision and the All Purpose Scissors for versatility. Available now for a retail price of $17.95 and $18.95, respectively. Later this month, fly tyers can look forward to the introduction of the Ergo Bobbin Threader and the Ergo Whip Finisher. 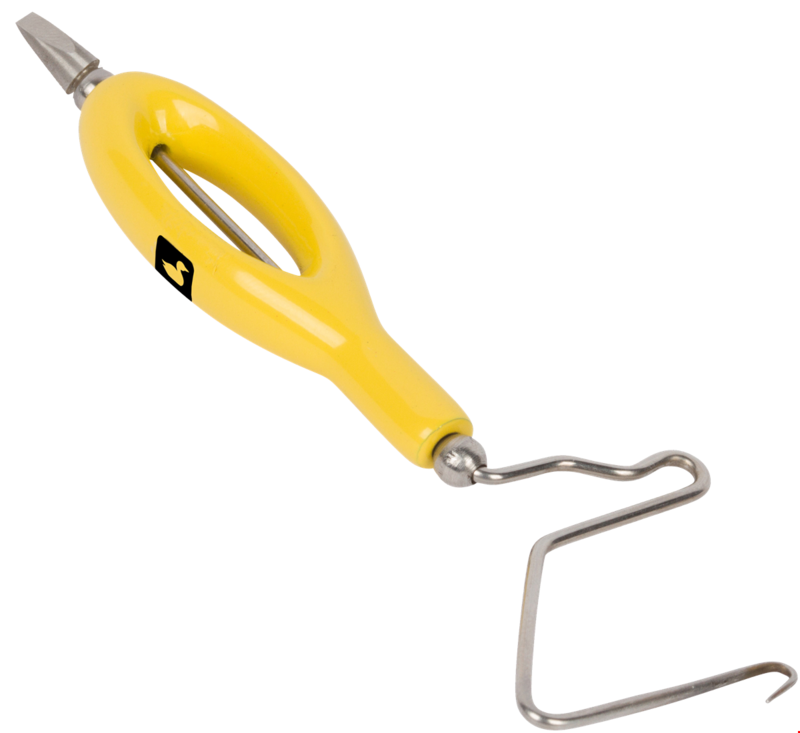 The bright Loon yellow ergonomic handles make them easy to find on the bench. The Ergo Bobbin Threader is extra-long for compatibility with even the largest bobbins, and the Ergo Whip Finisher has a sharpened base so finishing flies and clipping thread can be accomplished with one tool. Look for availability of both tools in mid-October for a retail price of $9.95 and $12.95, respectively. In November, Loon introduces three new UV curing lights for use at the bench or in the field. The new UV Nano Light retails for $19.95 and is small enough for use in the field to cure UV Knot Sense or UV Wader Repair but powerful enough for bench use to cure UV resins. One AAA battery powers this light and makes it portable and durable. The UV Bench Light has a 3-watt, high-intensity output for tying applications. It is powered by one AA battery and will retail for $39.95. Last, but certainly not least, is the UV Infiniti Light retailing for $59.95. 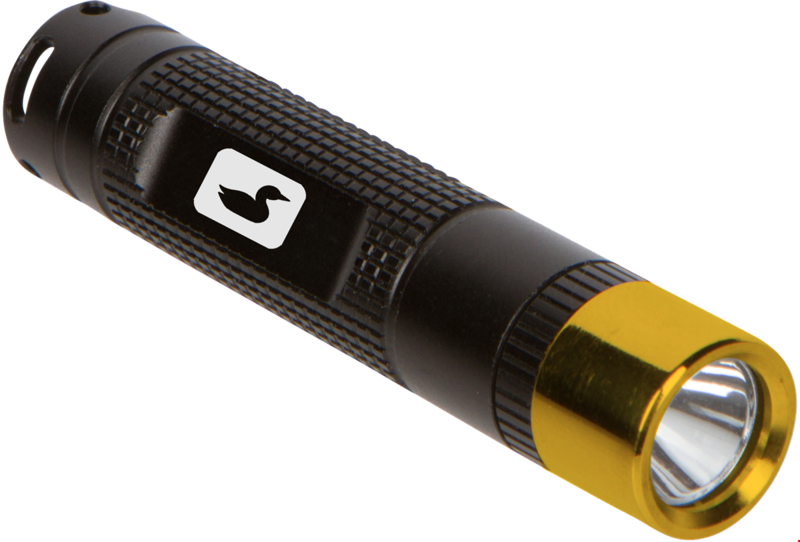 With its 10-watt output, this light is powerful enough for professional tyers and rechargeable to harmonize with Loon’s environmental-friendly culture. All lights cure the UV product in 15 seconds. Loon Outdoors is the leader in innovative and environmentally friendly fly fishing and fly tying accessories. Founded in 1991, Loon’s growth into a globally recognized brand has been due to their success in developing products that perform at the highest level while honoring a commitment to protecting fish, fisheries, and fishermen/women. Loon Outdoors’ headquarters is located between the Rogue and Klamath rivers in Ashland, Oregon. For more information, visit: loonoutdoors.com, Facebook, Instagram, and YouTube.